We are the leading Manufacturer, Exporter and Supplier of Black And White Diamond Set. - 10KT Yellow Gold + GH/SI-I quality diamonds. - Seal your marriage commitment with this delightful diamond wedding. band. Expertly crafted, this simple and elegant ring features two. prong ser sparkling round diamonds at thr center of the band. We design a range of Z-Stone Jewellery with the help of our team of experts, in a variety of designs as per the latest trends in the industry. These can also be customized as per the requirements of our clients to meet their requirements in an efficient manner. Our leading market prices enable optimum satisfaction to the clients. 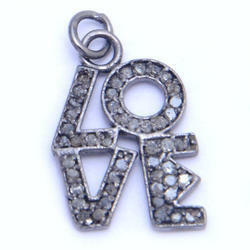 The word pendant from Old French word "pendre" and the Latin word "pendere", both of which translate to "to hang down". In order to meet the needs and requirements of the clients, we are offering a quality assured array of Diamond. 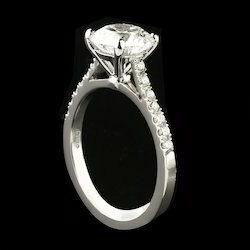 Diamond offered by us is recommended amongst the clients for its unique appearance and fine cuts. Moreover, we assure our clients to offer a quality tested array. We have established ourselves as the leading trader and supplier of a qualitative range of Designer Diamond Set for Wedding Reception. Our these products are precisely designed by vendors' highly skilled and experienced professionals, using the latest technology. S Nirvair Singh Johari & Co.